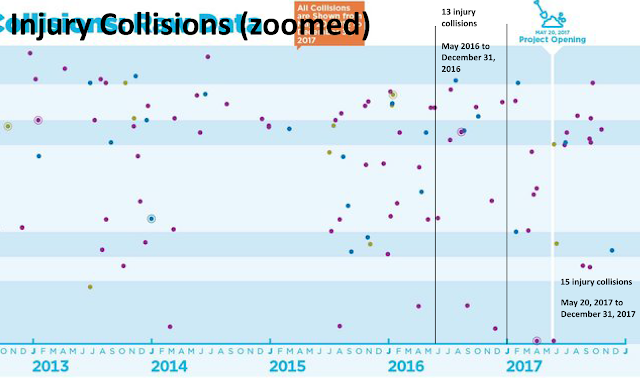 At Six Months, Collisions & Injury Collisions are Up on Venice Blvd. ~ Restore Venice Blvd. ...that was working for everyone! 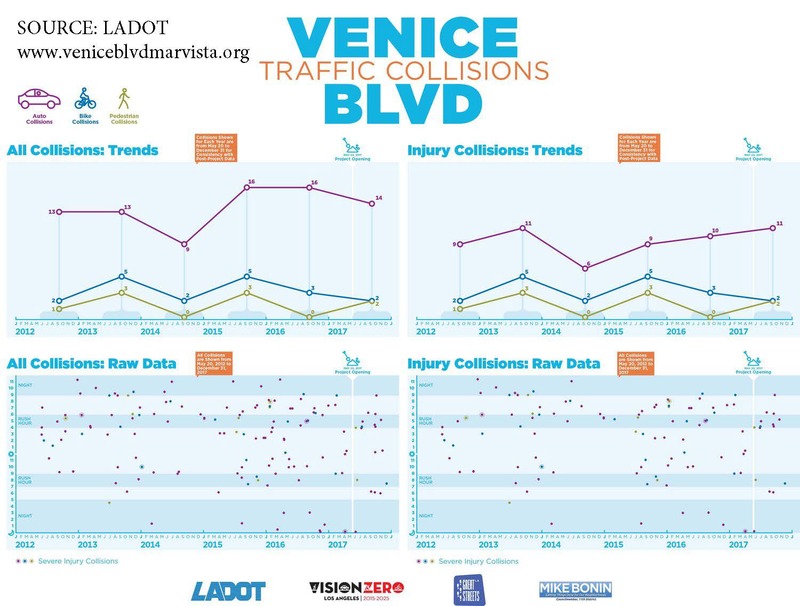 At Six Months, Collisions & Injury Collisions are Up on Venice Blvd. 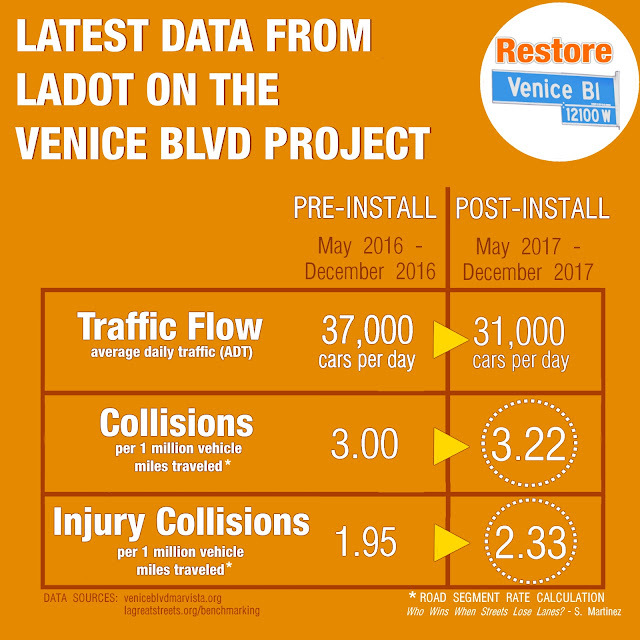 Six months into the road diet, collisions and injury collisions are up on Venice Blvd. 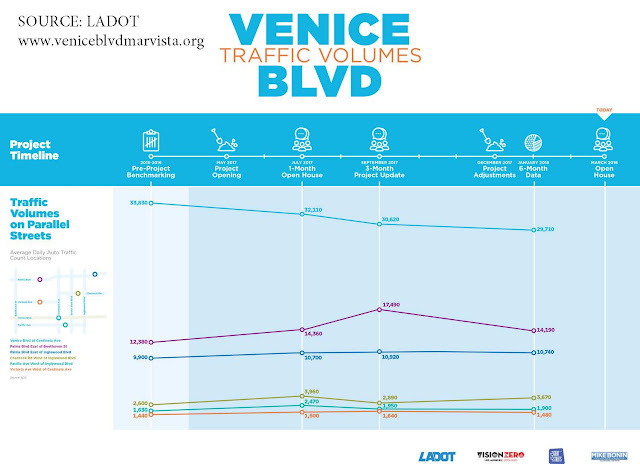 One of the ongoing problems that plagues the Great Streets - Venice Blvd pilot project is a lack of project data. 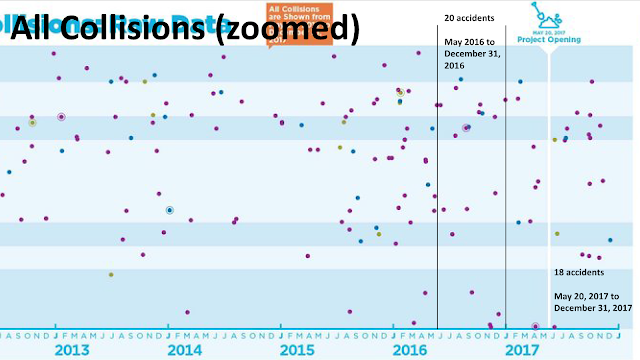 Our group submitted a California Public Records Act Request on August 8, 2018 specifically asking for the pre- and post-project data, including pedestrian, bicycle and traffic counts and accident data. We also asked for the criteria being used to evaluate this project - the metrics for success. We are still waiting for a response. We can all agree that having a complete data-set that we all can independently evaluate and discuss is essential to resolving the ongoing conflicts over this pilot project. Until then, we are using what limited data we do have in the most prudent way possible. Our community is full of very smart and intelligent people. One such person is Donna Speckman. She wrote an analysis of the LADOT mailers that were sent out in September 2017 making claims that the road diet was a success. You can read a reprint of what she posted on Nextdoor here. 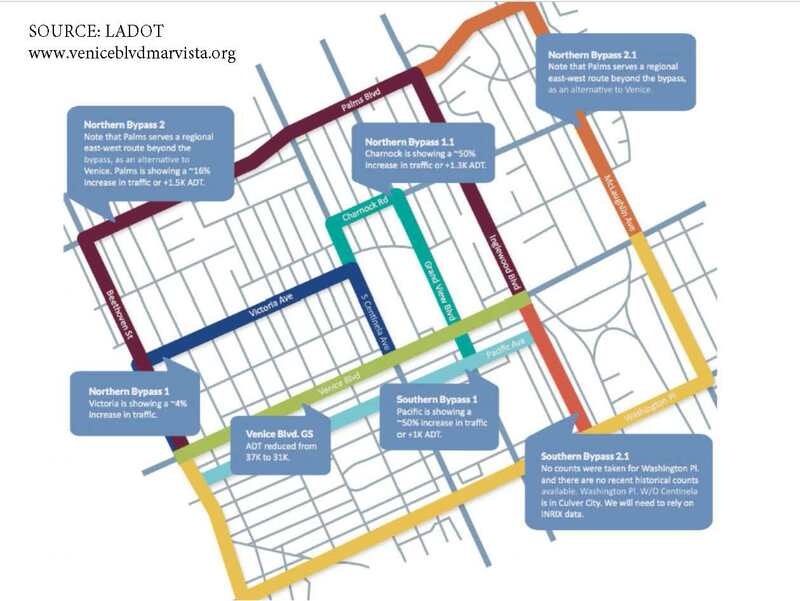 She cited the Severin Martinez paper Who Wins When Streets Lose Lanes? and the Road Segment Rate Calculation on page 24 (page 35 of the PDF). Martinez says that using the Road Segment Rate Calculation formula is a way to compare accidents and injuries before and after a road diet. If the post-project number are lower than the pre-project numbers, this indicates that the road diet is a success. The most appropriate use of this crash rate is to determine the relative safety of a roadway segment when compared to similar segment within a specific jurisdiction. 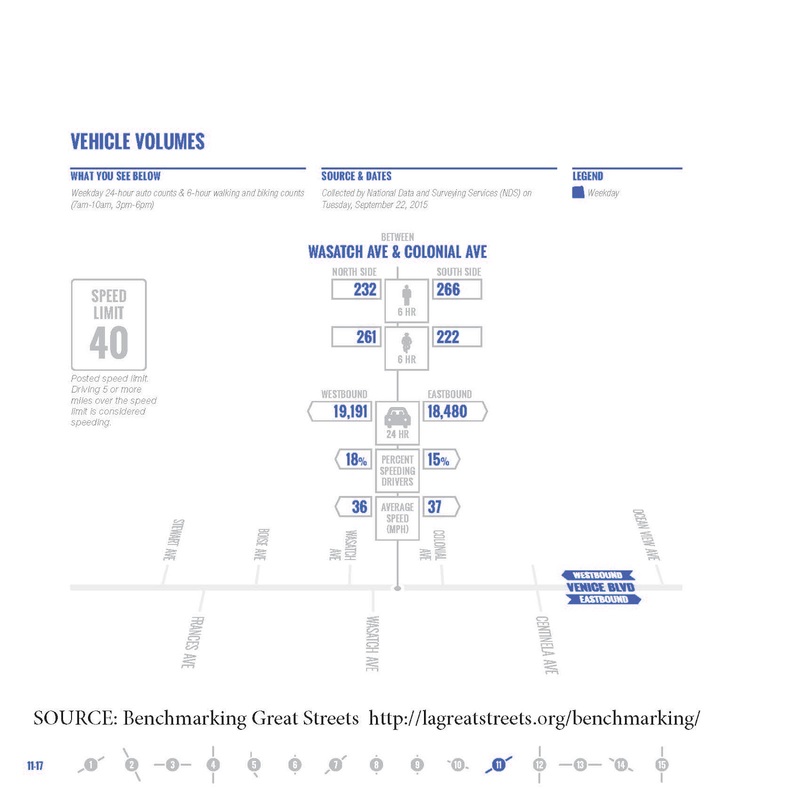 At the Great Streets website, the benchmarking report for Venice Blvd says that during a one day traffic study conducted on September 22, 2015, approximately 37,000 cars traveled on Venice Blvd between the intersections of Wasatch Ave. and Colonial Ave.
LADOT says the road diet is 0.8 miles long. We want to hear what you have to say. Leave a comment and share your feedback. Want to submit a story, picture or video for the blog? Use the Contact Us form to get in touch. Thanks! He says this is a "community-driven project." 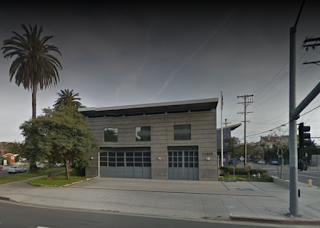 If you use Venice Blvd., you are part of the community. 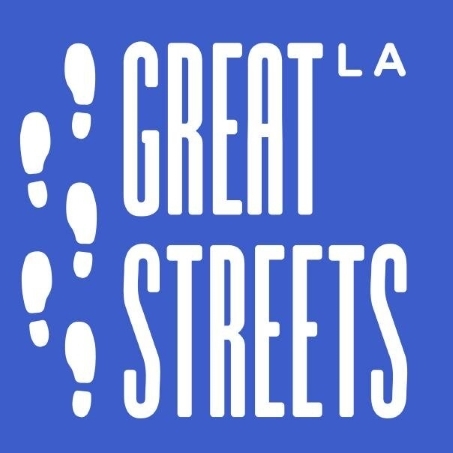 Tell them what you think about the changes on Venice Blvd., the good, the bad and the ugly! Go there & join the conversation.